Industrial Surplus is the nation's leading buyer and seller of new and used forklifts. Based in Houston, Texas, we buy operational and non-functional forklifts of all brands -- Mitsubishi, Caterpillar®, Jungheinrich®, Toyota®, and more. 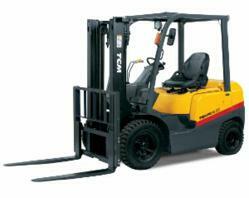 We offer attractive prices for your used and surplus forklifts. We provide honest evaluations of your equipment and purchase a wide range of forklifts , operational and non-functional. We buy all major manufacturers. Contact us today to discover how we can make disposing of your surplus forklifts.